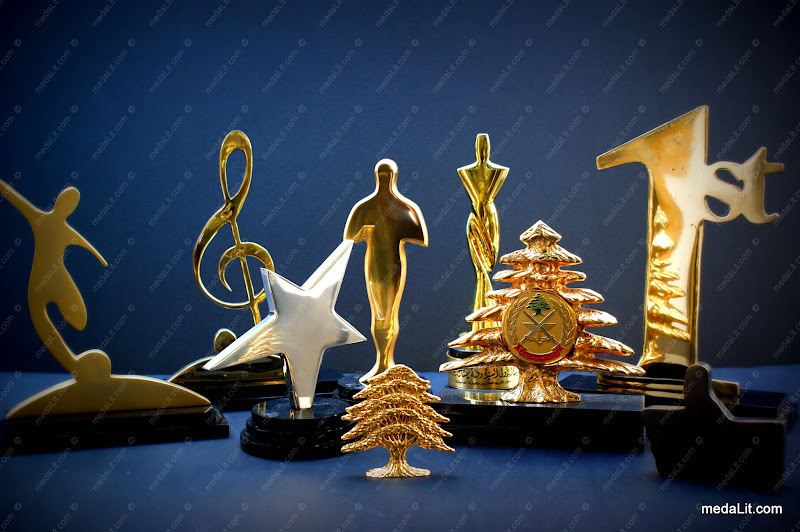 Absi Brass Trophies Awards are die-cast from brass, different shapes can be made, all trophies listed under Absi acrylic Trophies can be made from brass. Brass trophies are custom-made according to customer preferences: they can be finished to have either polished or matte surface and can be ordered to be gold-plated, silver-plated or bronze patinat-ed. Every brass trophy is presented with a brass plate shaped to match the selected trophy and engraved to personalize it and embody your message. Brass trophies are presented in a carton gift box but can be ordered to be packed in a luxury velvet or wooden box. Proudly we produced Al-Madina Al-Munawwara Award, an annual award granted to distinguished persons in different fields of studies. 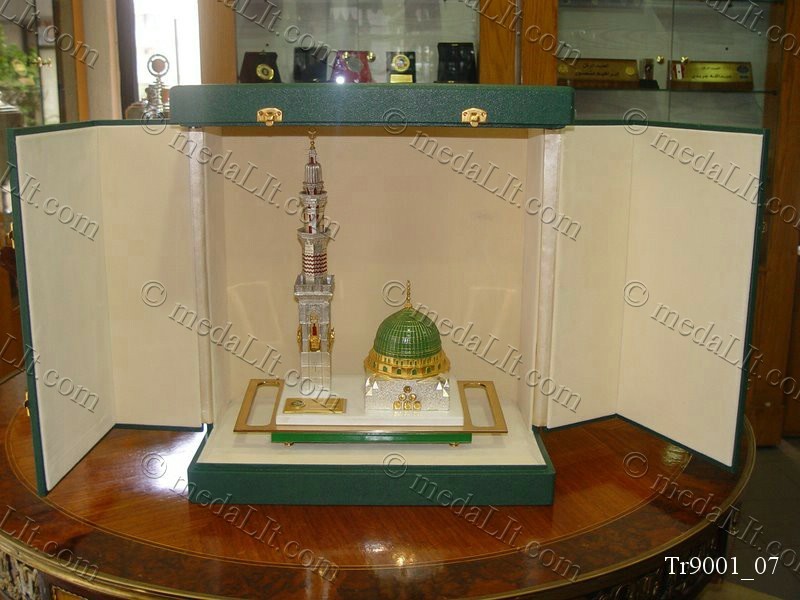 The award is a custom made model of Al-Madina Mosque. Die Cast from brass, it is composed of 75 pieces assembled together to make a fantastic trophy, featuring a 24K gold plated dome and accessories in addition to silver plated parts. The award is mounted on a marble plate and personalized with a gold plated plate. It is presented in a luxury box. This product is not for sale, it is showcased here to give you an idea of what we can produce for you.